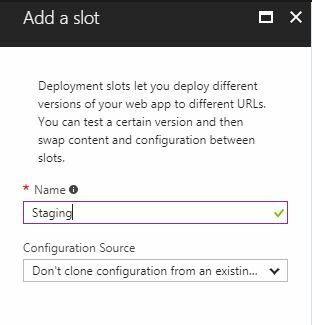 I have slot as “Staging”, and I have chosen not to clone configuration from Production slot. This is being done because we will be deploying different version of the app into both slots. 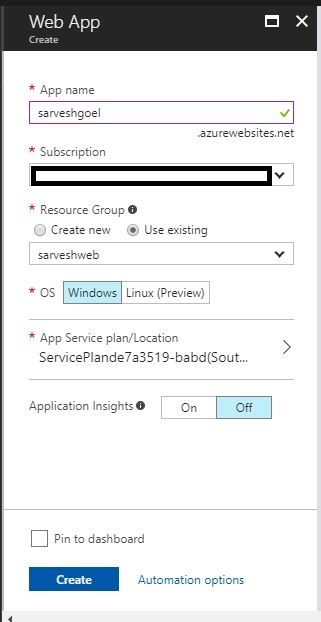 Select the Primary slot – sarveshgoel and the code will be pushed there. We will run similar steps for Staging slot. 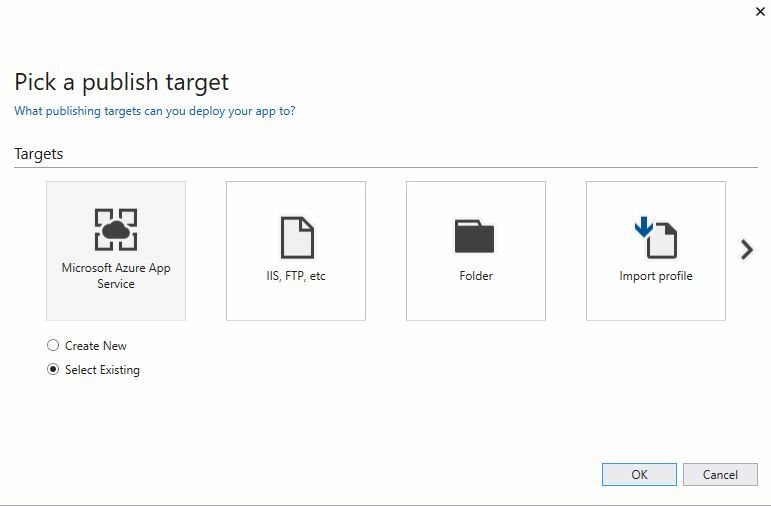 Now click on Publish, and wait for the confirmation. 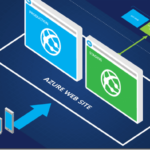 Now we have two versions of Web Application running on separate slots, running on their own Web URLs. As explained in the Design and Architecture documentation, purpose of staging slot is to test the code before making it Production. Please remember, the slots in Production WebApp should be used for Staging environment but not for QA or testing environments. 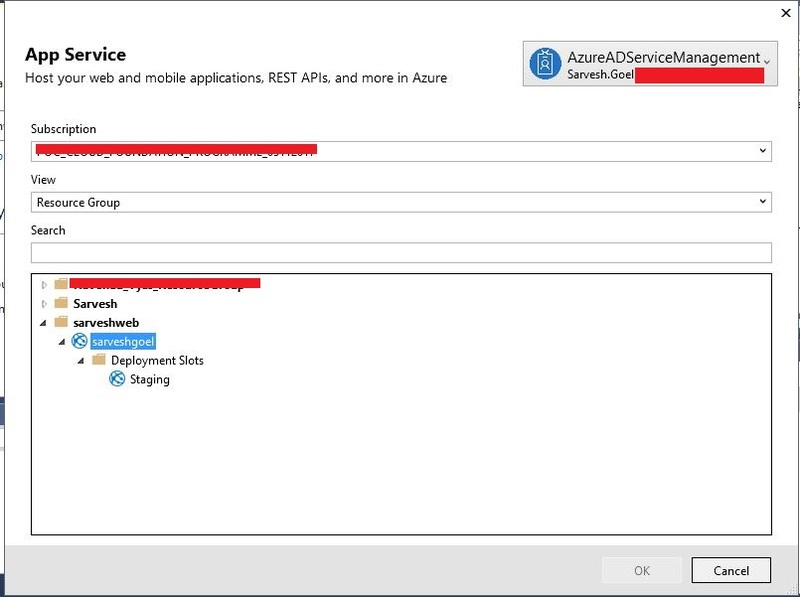 Now, click on deployment slots on the Azure Portal, click on Swap . 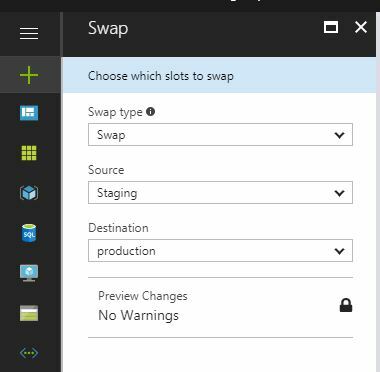 Now swap Production with Staging as shown below. Once you click on Ok, Production becomes Staging and Staging becomes Production within few seconds. 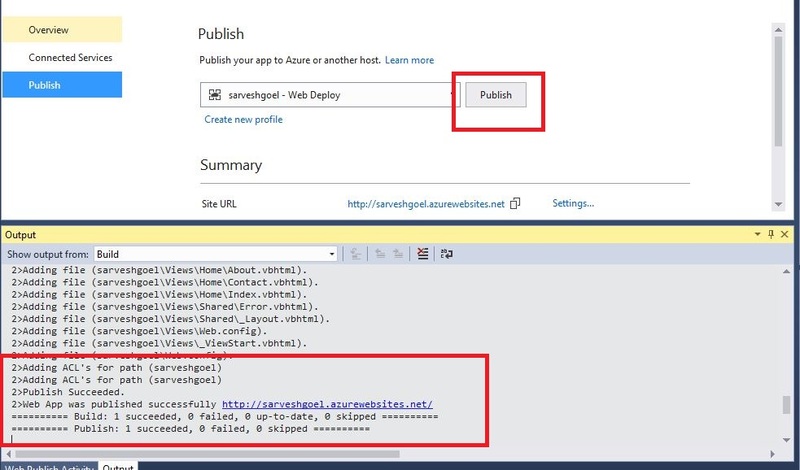 Look at the URLs above, and try using this amazing feature Azure WebApp deployment slot.